This quilt is designed by Sandi Irish from the Irish Chain. Our sample quilt is made from our Fat Quarter 12 Pack called September Morning. 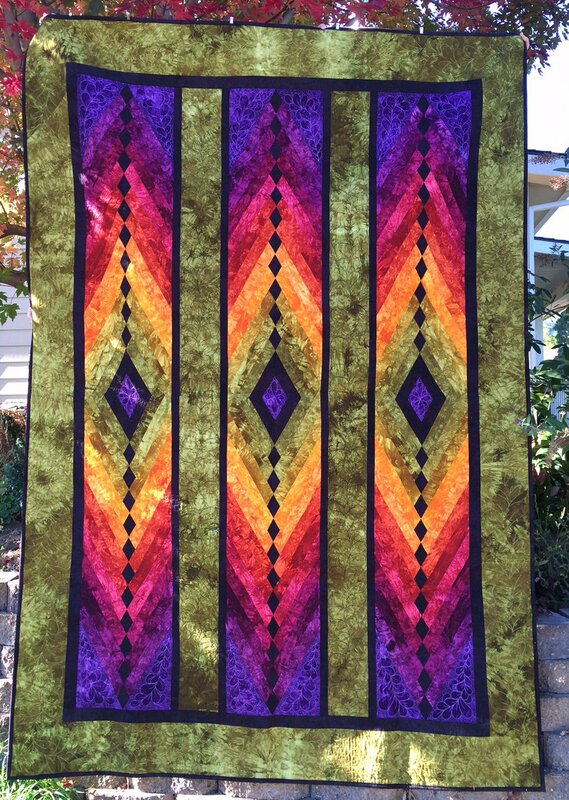 The kit includes black, purple and green for the diamonds, sashing, borders and binding. Our picture shows the Twin size quilt.